Custom Index Tab Divider Sheets - Business & Mfg. Custom printed indexes provide excellent reference to your business files. 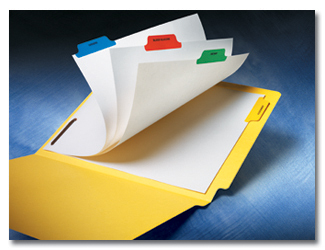 Color mylar laminated tabs help organize your documents providing quicker access to important information. By organizing records, companies save a tremendous amount of time filing and retrieving documents. 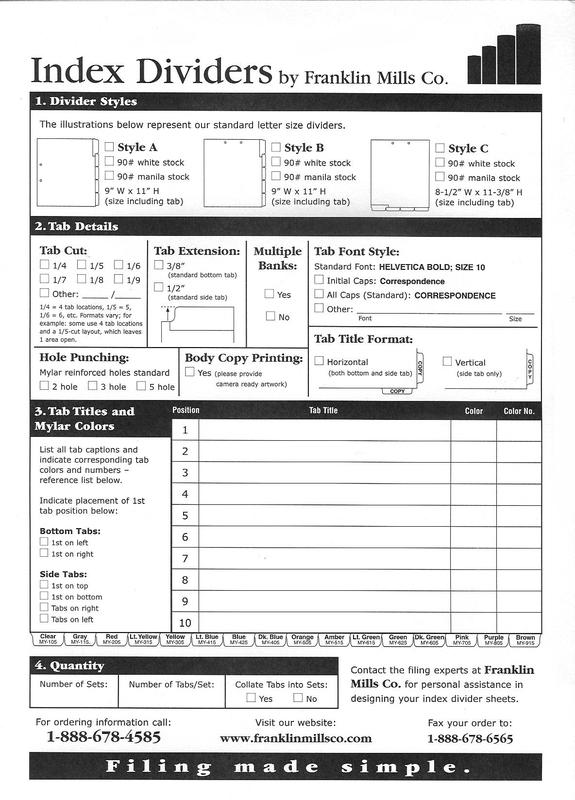 Click here to view our index divider order form.